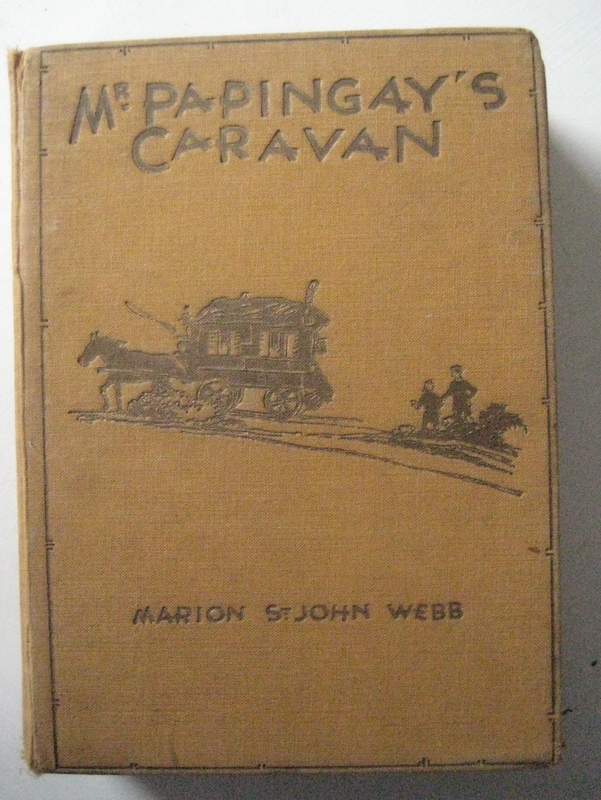 At Spitalfield’s Market yesterday I found a copy of this book ‘Mr Papingay’s Caravan’ by Marion St John Webb. I loved this book and others by the same author when I was little – well I still like it. Wonderful cast of characters – Mr Papingay is a sort of early Dr Who. 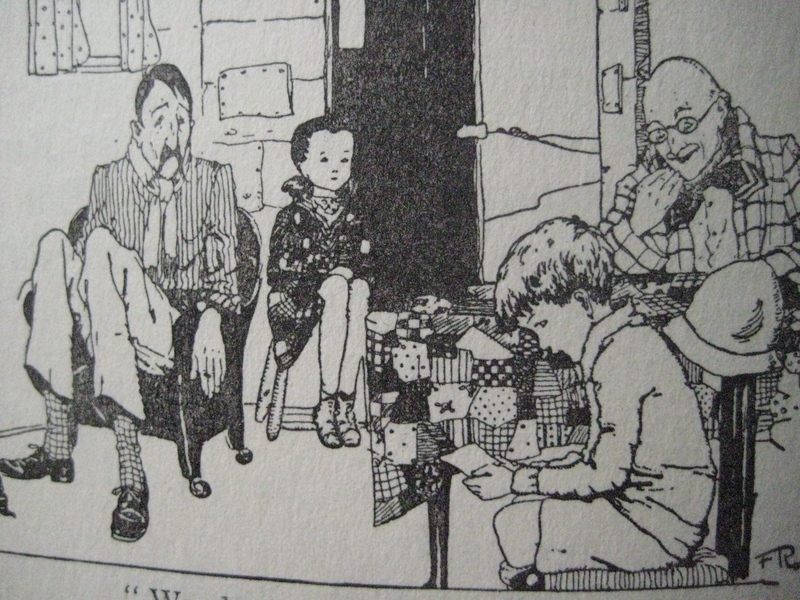 The there is Penny, a prim little girl who sews patchwork, The Lodger has a droopy moustache and is very gloomy – wants to be someone important and always looks on the black side of life, Aunt Muffin who is very bossy, and the Fat Boy who is rather greedy. Robin is a boy who has adventures with them all in the school holidays. Image | This entry was posted in A day out, Drawing, Family, Favourite Books, Life, Living in North London, The Past, Uncategorized and tagged books, children, Frank Rogers, Marion St John Webb, Mr Papingay, Spitalfield's Market. Bookmark the permalink.